The familiar narrative of Moses and the burning bush evokes wonder and awe, but do you know God’s motives for revealing Himself to Moses in this manner? In this series, R.C. Sproul examines the biblical account of Moses’ life-altering encounter with the Holy God. 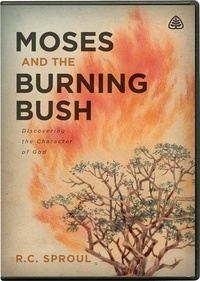 Through ten lectures, he explains the meaning behind God’s appearance in the burning bush as well as the importance of His words to Moses. Furthermore, Dr. Sproul demonstrates how the coming of Jesus Christ is foreshadowed in this meeting between God and Moses on holy ground.